Challenge Casino was established in 1999 which means that it has been supplying the online gambling world with what it needs for over twenty years. Being in the highly competitive online gambling industry for all of this time vouches for its quality and its ability to satisfy its online customers. The casino was able to win an award by Online Gaming Magazine for the Best Casino Software. The casino allows players to enjoy a very sophisticated gambling journey that is as rewarding as it is fun. Challenge Casino allows players to enjoy one of a kind gambling experience in a very secured and a fair environment. Sign up, claim the triple welcome bonus, and receive up to €£$1000! Challenge Casino has a lower selection of games but they make up for that with their customer loyalty initiative which is one of the best point loyalty programs on the internet to date. 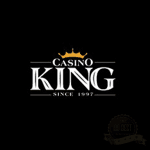 The casino belongs to the Casino Rewards Group and it is owned by ITS Limited. Like the rest of the Casino Rewards Group casinos, it is licensed by the jurisdiction of Kahnawake, it is audited and tested by the eCOGRA and it is powered by Microgaming. The welcome bonus that is offered at Challenge Casino is one of the most rewarding ones on the internet. This bonus allows new players to earn up to £1000 for free. Players who want to take advantage of this welcome bonus have to download the casino software and register a real player account. This welcome package consists of three different match bonuses. Players will be rewarded with a 25% match bonus on their first real money deposit. This bonus can amount up to £800. They will also be able to claim a 50% match bonus and a 100% match bonus on their second and third deposit respectively. The second deposit bonus can amount up to £150 and the third bonus can amount up to £50. This makes the total amount of this bonus £1000. The casino also has a very generous loyalty program that allows players to earn points as they place wagers at the casino games. For each one-hundred points they earn, they will be able to claim £1 in chips. When it comes to managing funds, Challenge Casino provides players with maximum convenience. This is because the casino supports most major credit cards and other nontraditional payment methods. The deposits can be made in four different currencies. These currencies are Canadian Dollars, US Dollars, Euros and British Pounds. The list of payment methods that players can use to withdraw and deposit funds from and to the casino includes MasterCard, Visa, Skrill, UKash, UseMyBank, Eco Card, Click2Pay, Neteller, Diners Club and Bank Transfer. All of the banking data and the transactions are safeguarded by state of the art encryption systems. The software and the games are all backed by Microgaming. This is why players will be able to enjoy a gaming library that holds more than three-hundred games of a varied nature. This library includes video poker games, slot machines, roulette tables and Blackjack games. All of the games are characterized by their high end graphics and astonishing audio effects that takes players right into the theme of the game, especially slot machines. The casino is only available in a download version as there is not a flash based version. This is the only downside of the casino. It was an amazing, Challenge-free gaming experience at this online casino! Will certainly play again!